Corey Denevan is an experienced attorney that truly cares about his clients. He takes time to listen to their concerns and helps them accomplish their goals. Corey handles transactional work such as drafting Wills, durable powers of attorney, all types of trusts, family limited partnerships, LLCs, real estate transactions and business planning. Corey provides guidance with respect to administration issues arising in trust, probate, guardianships and conservatorship matters. Corey represents both professional and individual trustees, executors, guardians and beneficiaries navigate their way through difficult situations. Corey has both trial and appellate experience. 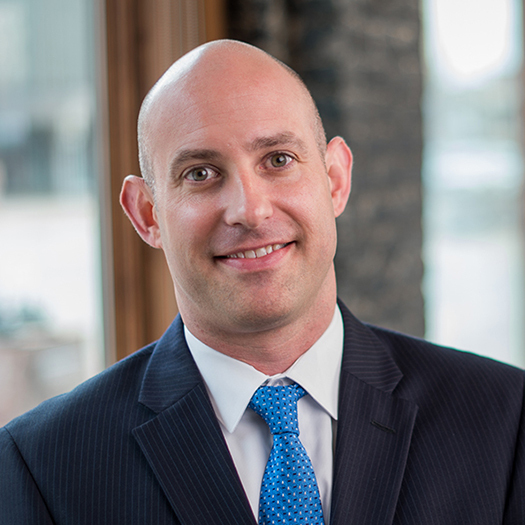 Corey enjoys representing local South Dakotans as well as individuals, attorneys, advisors, public and private trust companies all over the United States who choose to avail themselves of South Dakota trust laws. Corey is also available to serve as a mediator in estate, trust and guardianship matters, providing families a discrete and private setting to resolve their disputes. Corey was born and raised in Sioux Falls, South Dakota. However, he began his professional career on the West Coast in Seattle, Washington. He was an assistant vice president and trust officer with one of the nation’s largest financial institutions. Corey transitioned to the practice of law at Hertog & Coster, PLLC where he focused on estate planning, probate administration and the representation of non-professional fiduciaries and professional fiduciaries, such as banks, trust companies and guardianship agencies. Corey joined Aiken, St. Louis & Siljeg, P.S. as a shareholder, where he continued to manage complex trust, estate and guardianship matters, but also expanded his practice into business planning and succession, real estate transactions, creditor rights and commercial litigation. Corey also served as court appointed trustee and personal representative in complex and contentious cases. Corey was a longstanding member of the Washington State Bar Association’s Real Property & Probate Section and Guardianship and Elder Law Section, as well the King County Bar Association’s Real Property & Probate Section and Elder Law Section. Corey served two terms on the executive committee of the King County Bar Association’s Elder Law Section. In 2005, Corey was nominated and served as the chair of a committee with judges and court commissioners to draft forms to be used by guardians and trustees to report on their fiduciary activities. In 2012, Corey was nominated and served as co-chair of the Washington State Bar Association’s task force to revise the Uniform Durable Power of Attorney Act to reduce financial exploitation of vulnerable and elderly persons. After twelve years on the West Coast, Corey and his wife returned to Sioux Falls to be closer to their families. Upon returning to Sioux Falls, Corey served as an adjunct professor at a local university teaching employment law. Corey joined Boyce Law Firm, LLP in 2013 where he focuses on trust, probate and guardianship matters as well as estate and gift tax planning. He continues to be a frequent presenter at continuing legal education seminars for lawyers. He also continues his legislative activity by serving on a task force for the South Dakota Bar Association to revise the Uniform Durable Power of Act for implementation in South Dakota, and has drafted and advocated for proposed legislation to implement dispute resolution procedures to all contested trust, probate and guardianship cases. 2002 Orange County Bar Association (California) Trustee Panel Discussion: “Management of Special Needs Trusts”. The skills necessary to successfully mediate a case do not always require an expertise in a particular field of law. Mediation is more about developing an understanding the interests of the parties and finding opportunities for resolution. While I have litigated numerous cases through trial and appeal, my most gratifying work has been in the area of alternative dispute resolution. Serving as a mediator or representing a client in mediation and creating a forum for the parties to control and craft their own resolution is very gratifying. I have witnessed how the mediation process can provide a catharsis for clients resulting in a better outcome that is not necessarily achievable through traditional litigation. I have also found that arbitration can provide a more expedient, efficient, cost effective means of resolving a dispute in private.